The Art School has a proud history in quality art education; a warm and friendly atmosphere with classes in four, ten week terms, using medium, such as oil, acrylic, watercolour and pastel. Subjects ranging from life drawing/painting, portraiture, still life, botanical and plein air, to expressive classes all taught by our team of very talented and dedicated artist teachers. Our programme offers a ‘Diploma’ course for the dedicated student wanting a more complete art education in a wider range of painting and drawing disciplines. Regular ‘Sketch Clubs’ (no tuition) offer a safe supervised venue for life drawing and portraiture in the spacious, well equipped studios. During the year we hold workshops by specialised guest teachers who are all experts in their chosen field. The highlight of the Art School year is the “RAS Art School Exhibition”, where all students are invited to participate in this annual exhibition with a full gala opening including awards and prizes. A friendly class from pastel specialist Greg Hansell, developing skills of colour and layering of colours, painting still life and plein-air with a new subject each week, highlighting different aspects for the student to observe. A class with a strong link to examples in art history and the way many artists observed and expressed many varied subjects. The class has a strong emphasis on the student finding their own language in pastels. A course specialising in the basic tradition of drawing line, perspective and observation of tonal values. Each week a new task expressing different aspects of still life, learning the know3lexge required for accurate and fun drawing. A very handy course for any emerging artist to get the right foundations and confidence for sketching, drawing and drawing for painting. John has been a professional artist since 1971. Trained as a perspective artist he has over the years developed his interest in watercolour as a medium for expressive painting particularly well adapted for plein-air work. He believes in the fundamental importance of good drawing as well as knowing the rules of figurative painting before you go out and deliberately break them. Grounded in sound technical knowledge, John encourages his students to look for the mood and atmosphere in a picture rather than recording scenes with no emotion. You will learn how to draw rapidly and accurately, how to manage your palette, the principles of composition, handling washes , wet-in-wet technique, with critical analysis of your work and study the work of masters. He is an experienced teacher running workshops, and teaching regularly at summer and winter schools throughout the country and overseas. John provides thoughtful notes and references with every class. Alan Somerville is a figurative artist, whose sculptures and drawings are steeped in the expressionistic style of Rodin, Degas and Daumier. His body of work is both broad and critically acclaimed. His numerous public works include the two iconic Bronze Diggers on Sydney’s Anzac Bridge, the Bull at World Square, Sir Henry Parkes in Centennial Park, Sir Roden Cutler, at Manly, and the three bronze sculptures at the Australian War Memorial, plus countless private commissions in Australia and abroad. 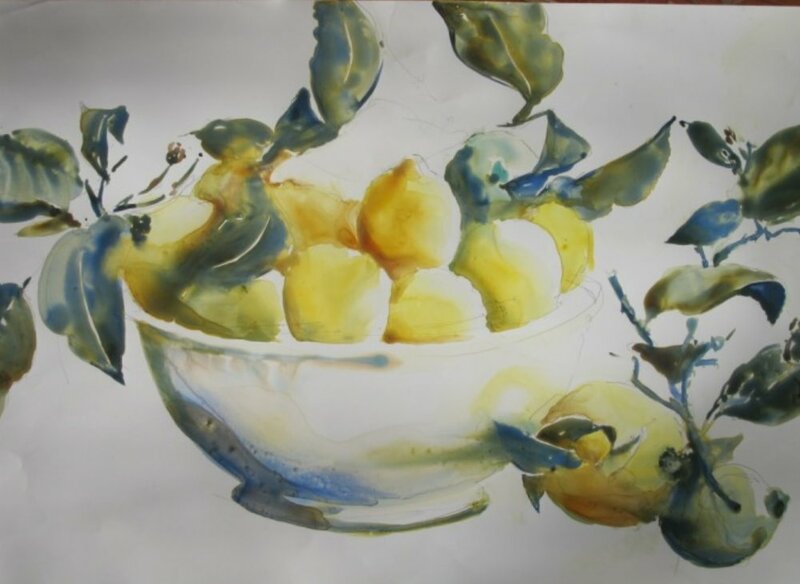 Julie has developed her own unique style, pushing the boundaries of the watercolour medium to produce works full of light and depth of tone whilst maintaining the transparent quality of the medium. Although Julie paints in oils, pastels and mixed media it is the medium of watercolour that excites her the most. She paints en plein air regularly and her classes are always popular. Join artist Mellissa Read-Devine and explore this versatile and exciting medium. Beginners to Advanced tuition. This class encourages students to explore their own techniques and creativity. An enthusiastic and contemporary tutor, Mellissa aims to bring out the best in each student; encouraging personal development at their own pace. Subjects will be varied, elements of composition will be explored, colour and brushstroke will be encouraged! The class will cover many aspects of the medium and techniques, including the addition of mixed media and acrylic mediums. Joe is an experienced landscape and figurative artist with an ability to capture the rugged Australian bush in acrylic and oils. He encourages students to gain knowledge on tonal construction, composition and atmospheric perspective while letting the individual's style develop. Materials list - speak with tutor who will advise you. Denis Clarke is an established artist who exhibits and teaches in Australia and the UK. He studied at the National Art School Sydney, St Martins School of Art, London and has judged several prestigious art awards including the British Art Show, Alexandra Palace, London and the Lloyd Rees Youth Art Award, Sydney. Denis has lectured at several art schools and universities, including The National Art School, and Charles Sturt University in Australia, and the Camden School of Art, London. Denis is also renowned for devising and delivering innovative master class courses linking observational drawing to creative and experimental methods with drawing and mixed media. Denis’s work is characterized by expressive use of colour, movement and intense observation of everyday subjects. He is represented in public collections including The Art Gallery of NSW and Lloyds of London and has been the recipient of major awards and residencies including The NSW Travelling Art Scholarship, The Cite Internationale des Arts Studio, Paris and Wollombi Valley Arts Council, NSW. Denis has exhibited widely in galleries and art fairs in London and Switzerland, and is currently represented in Sydney by the Stanley Street Gallery. Barbara has a Diploma of Art from Central Technical School Toronto, Canada and studied Natural History Drawing at the British Museum of Natural History, London. She has worked for the Australian Museum and at the Macquarie University as Biological Illustrator/Artist. "Plants come in a rainbow of colours! Have a favourite flower you've always wanted to paint but don't know where to start? Acquire skills to visually record the magic of the botanical world around you. Everyone can draw - individual attention in the exploration and use of the fundamental principles of line, shading, composition and the effect of light to define the form, shape and texture of the specimen". This class is open to all from beginners to the more experienced. Beginners will focus on monochrome painting whilst more experienced painters will start with a limited colour palette. Students will learn the essential qualities of painting - accuracy, tone/light effect, mixing subtle skin tones and how to depict the illusion of form and space as well as the technical aspects of painting, ie, supports, application of paint, correct layering of a painting and mediums. This class is designed to increase the level of accuracy and fine tune the approach to painting from life in any student’s work whether experienced or beginner. Two different portraits will be painted over the 10 session term. Joshua has exhibited in Florence, Italy and in group exhibitions in London and the United States. In 2010 he was the winner of the A.M.E. Bale Travelling Scholarship. In 2012 was a finalist in the EMSIA Still Life Award, in 2013 a finalist in the Adelaide Perry Drawing Prize, also a finalist in the Archibald Prize, Moran and the 2019 BP Portrait Prize. This portrait class focuses on developing simple tools for painting or drawing representational portrait in a gestural, realistic, impressionistic or expressive manner. We will be concentrating on the drawing and tones in order to have a better understanding of portrait painting, while exploring a variety of different pallettes and media including charcoal, pastel and oils. Hiren paints urban landscapes which portray the mood, atmosphere and activity of a scene. He chooses to paint with oils for their versatility. His painting methods are based on the 19th century realists and impressionists. He employs the ‘Alla Prima’ technique. Good design, composition and dramatic light are very important to his work. Marilyn P. Hay began her formal studies at the National Art School. She studied during a time when traditional values and classical notions of drawing, composition and colour were still taught while more experimental trends were being introduced, and the experience of straddling these two schools of thought still informs and underpins her work.